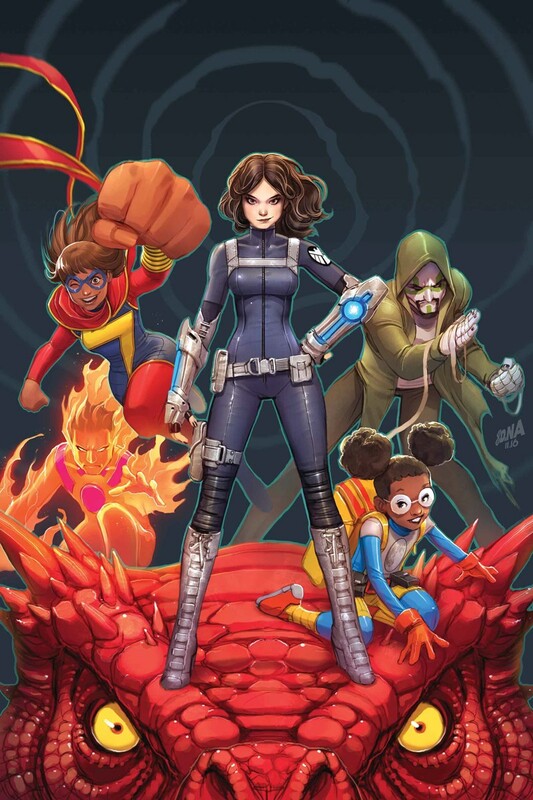 Secret Warriors #1 delivers a snappy, fast-paced story with the highlight being the fun dynamic between its kickass female lead characters. Now that Marvel’s latest – and arguably most controversial – event, Secret Empire, is up and running, it’s time to roll out the usual variety of tie-ins. While Secret Empire has been a great read so far (yes, it’s destroying Captain America’s character, but hey, it’s undoubtedly exciting), the spinoff comics to these type of events tend to be a mixed bag. 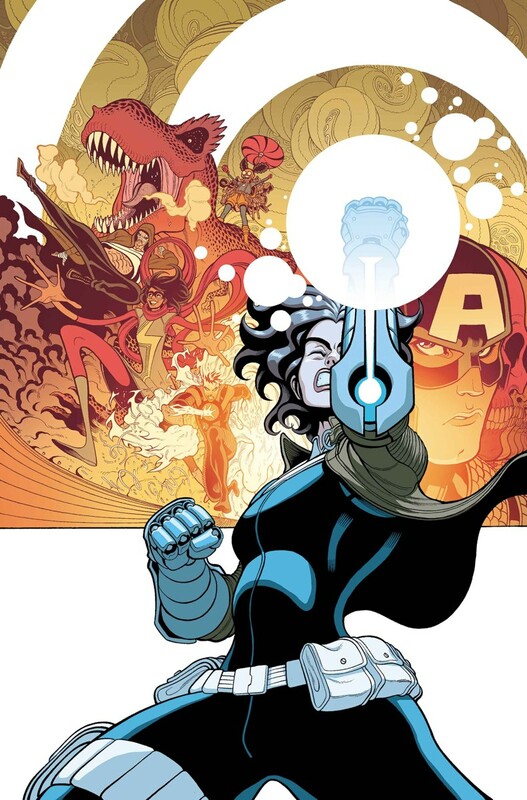 Thankfully, Secret Warriors #1 is an entertaining and very solid issue. 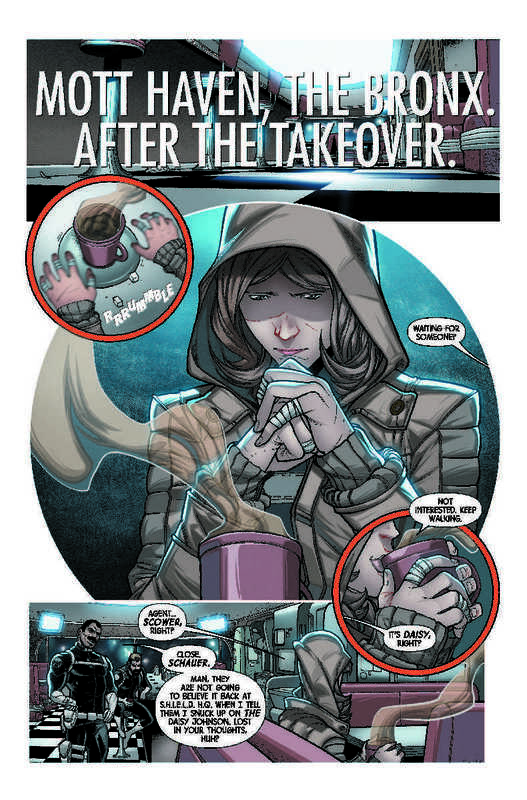 Our protagonist is Daisy Johnson AKA Quake, one of the few good S.H.I.E.L.D. agents left. With Steve Rogers having led HYDRA to a takeover of the country, Johnson inadvertently becomes the leader of an eclectic team of Inhuman rebels. Namely, Ms. Marvel, Moon Girl and Devil Dinosaur, Inferno and Karnak. Despite the presence of a couple of males, Secret Warriors largely belongs to its female characters, who bounce off each other really well. In particular, Daisy’s stoicism makes a fun contrast to Lunella and Kamala’s younger, more impulsive natures. Though he isn’t (yet) a part of their team, Agent Phil Coulson also makes a welcome cameo. Writer Matthew Rosenberg does a good job at spinning a snappy, fast-paced tale. In particular, it was great decision to split the narrative between the present and flashbacks to before the HYDRA takeover. It cleverly dispenses with the need for an info dump at the beginning and relays Quake’s recent experiences to us as we go along. It turns out she has a very personal reason to want to fight back against HYDRA. Yes, this comic will give you another reasons to totally despise HYDRA-Cap. Rosenberg’s tight storytelling – and gift for believable yet fun dialogue – is backed up well by Javier Garron’s artwork. 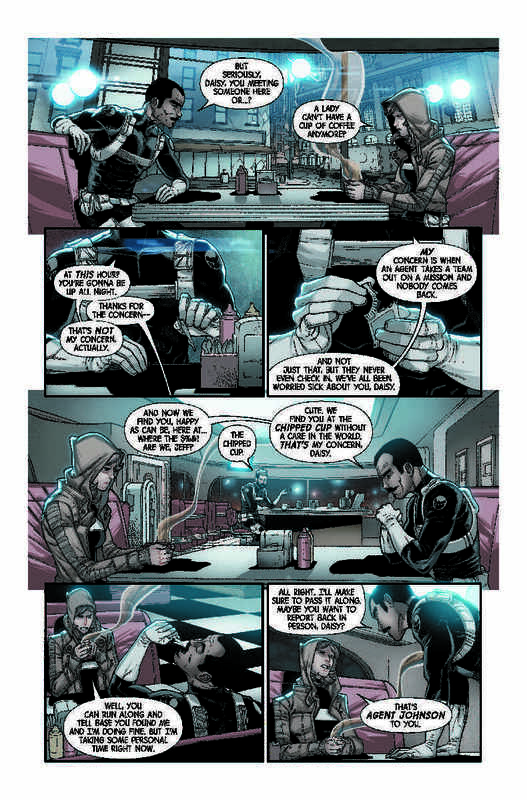 It’s very crisp and clean and the same goes for Israel Silva’s coloring. 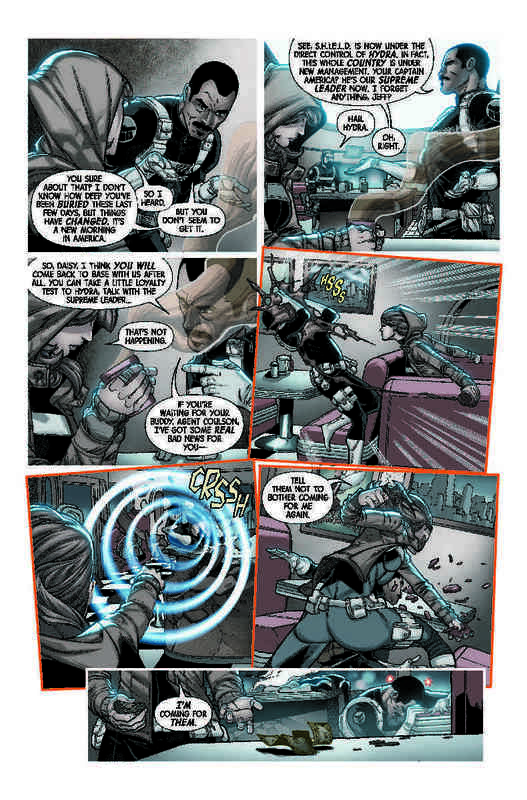 The Secret Warriors’ array of powers make for some great action sequences, too. For instance, the siege on a HYDRA convoy carrying Inhuman prisoners is a visual treat, as you get super-sized Ms. Marvel, Daisy’s well-rendered Quake abilities and a giant red tyrannosaurs rex all at once. On the lettering side of things, it’s a nice touch to have the captions for each location change in big bold characters that take up the opening panel, as it recalls the style used in recent Marvel movies (e.g. Captain America: Civil War). The only real complaint to be made is that this first issue probably keeps a hold on too much information, as we end the comic with no clearer an idea what Daisy’s real plan is or who exactly it is she’s searching for. This means that the issue’s cliffhanger doesn’t have quite the hit that it should. Still, at least it promises a crossover with another group of Marvel heroes in the following issue. Overall, Secret Warriors #1 is another strong installment of what is promising to be Marvel’s best event in years. It might hold out on us a little too much, but the fact that this is only the opening issue and the enjoyable dynamic between the comics’ kickass female leads more than makes up for that.